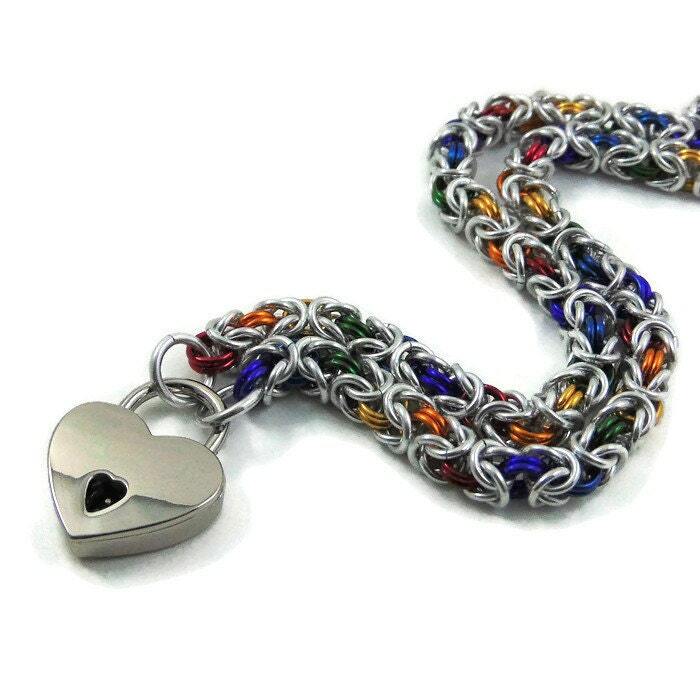 Bright silver and shiny anodized aluminum rings in all the vibrant colors of the rainbow make this lightweight chainmail collar an ideal option for men or women. The highly polished rings are super shiny, sleek and durable, excellent for every day wear, even in the shower. 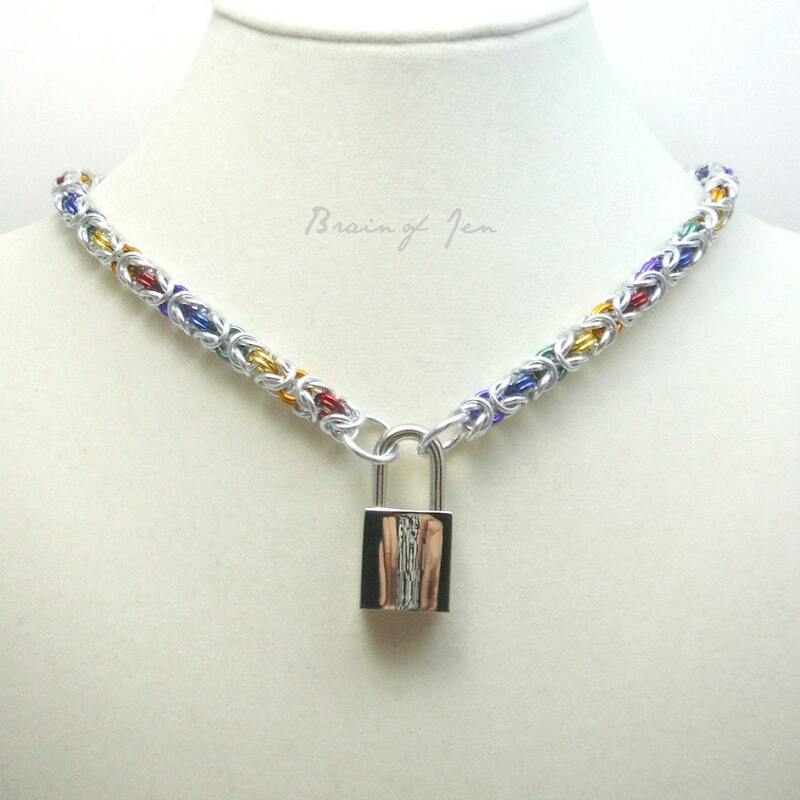 The collar closes in front with a nickel silver spring loaded padlock that's been polished to a beautiful mirror finish, and comes with two keys. 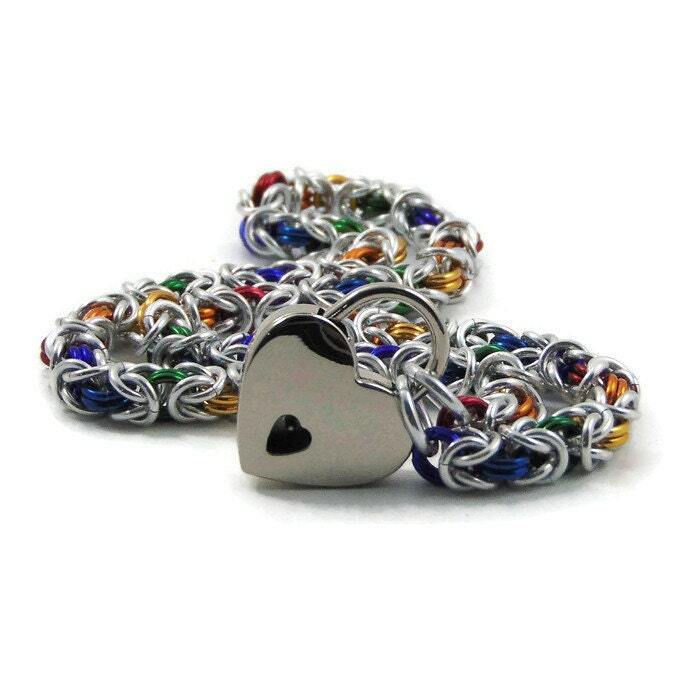 You can choose from a 15 mm square lock, or a 20 mm heart shaped lock. If you have a nickel allergy, you can upgrade your lock with a clear enamel coating on each side for just $15 more! 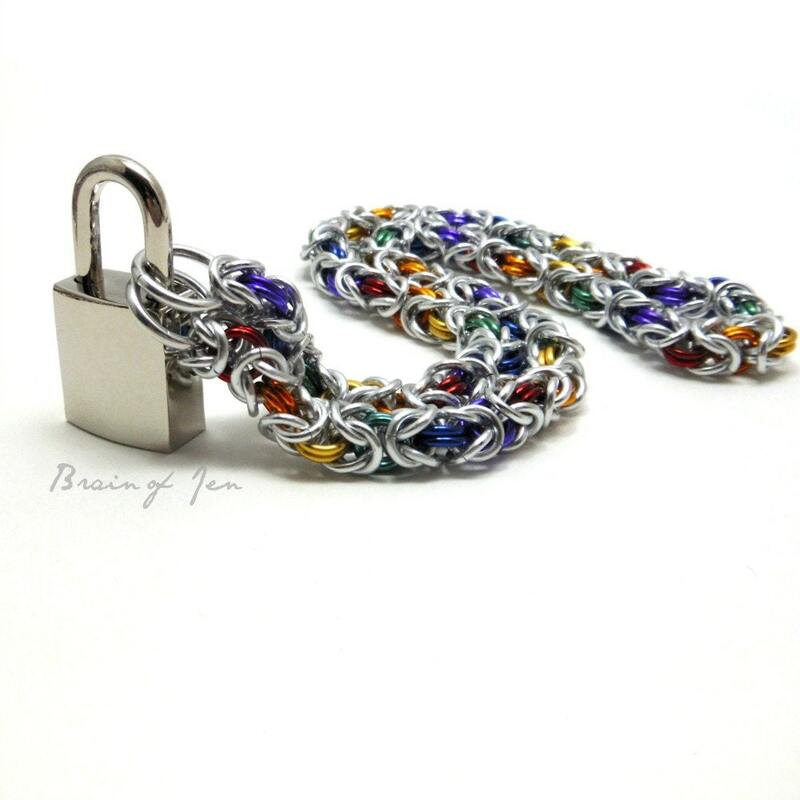 Just choose the "Upgrade my Collar" option here: https://www.etsy.com/listing/210196856/heart-lock-with-clear-resin-coating? 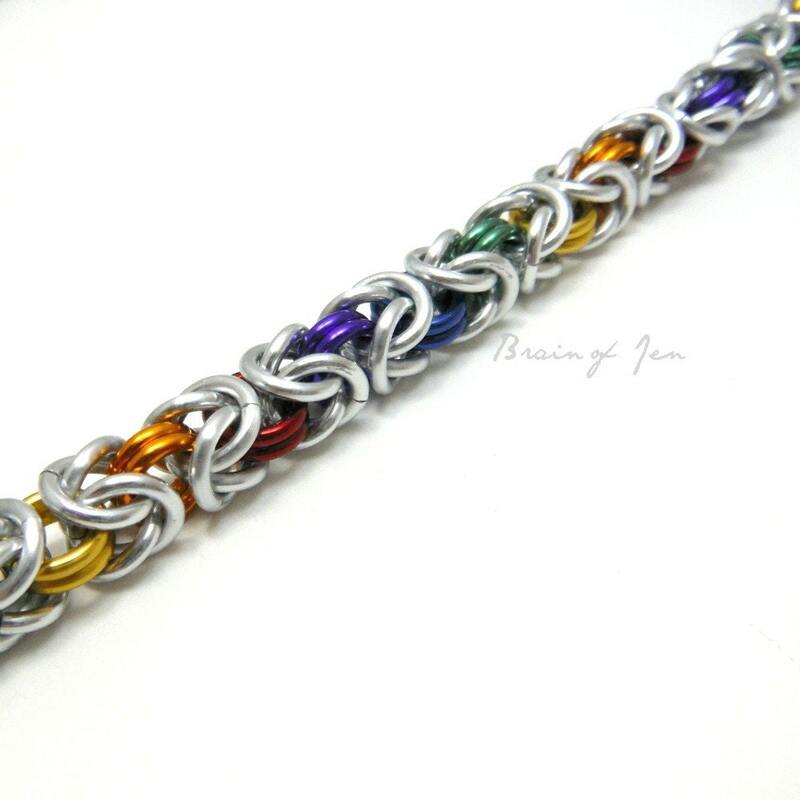 Very well made, and I love the design, and my pup absolutely adores it. . 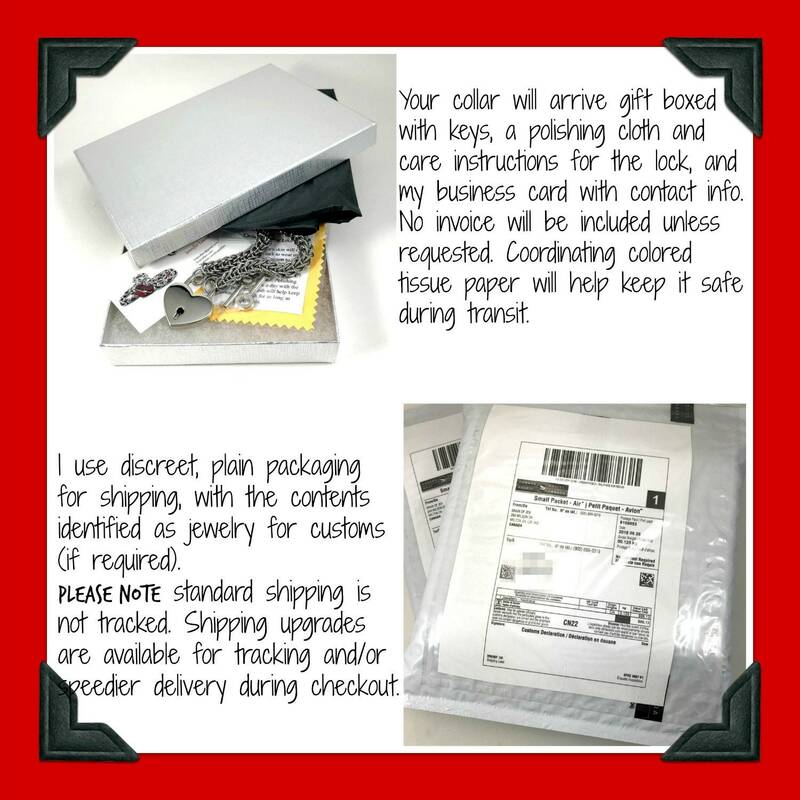 The shipping was very fast for a Canada to US order. The is quite the selection of well crafted designs. I will definitely be making more purchases here.